A classic Edwardian piece, circa 1915. 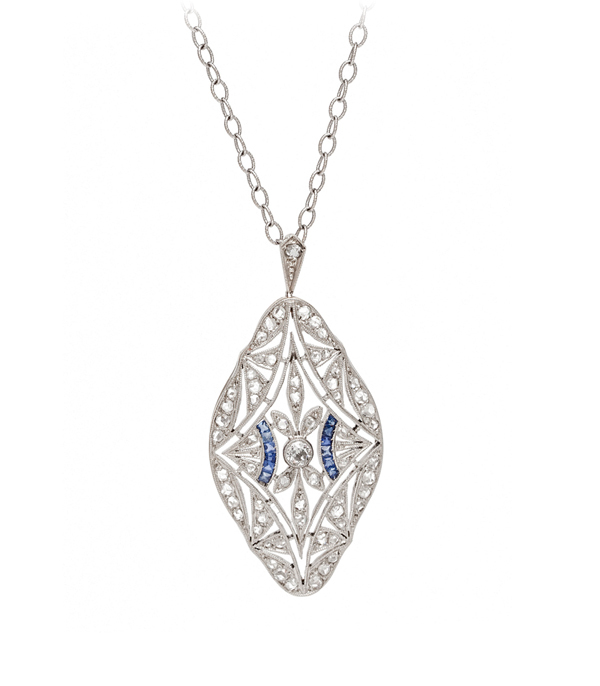 Ever so beautifully crafted, this statement making pendant in platinum-topped gold, rose cut diamonds (approx 1.5ctw) and calibre-cut sapphire accents is timeless in it’s design and every bit as wearable today as when it was made. Despite its size, its lightweight feel is a true testament to the exquisite craftsmanship. This beauty is featured on a new 14K white gold cable chain.